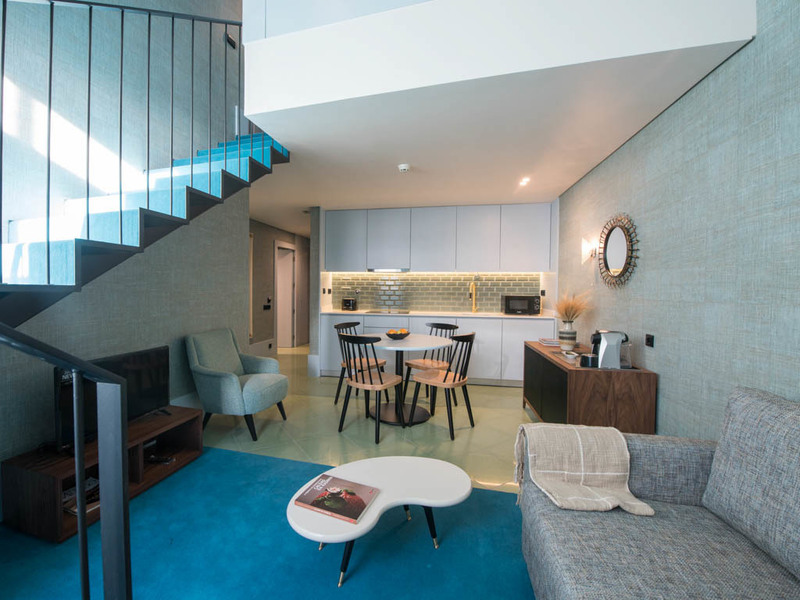 Located only steps from the Douro and Porto’s main tourist attractions, The Arc Carris apartments are the perfect accommodation alternative for those looking to enjoy an exclusive space with all the services and greater independence. 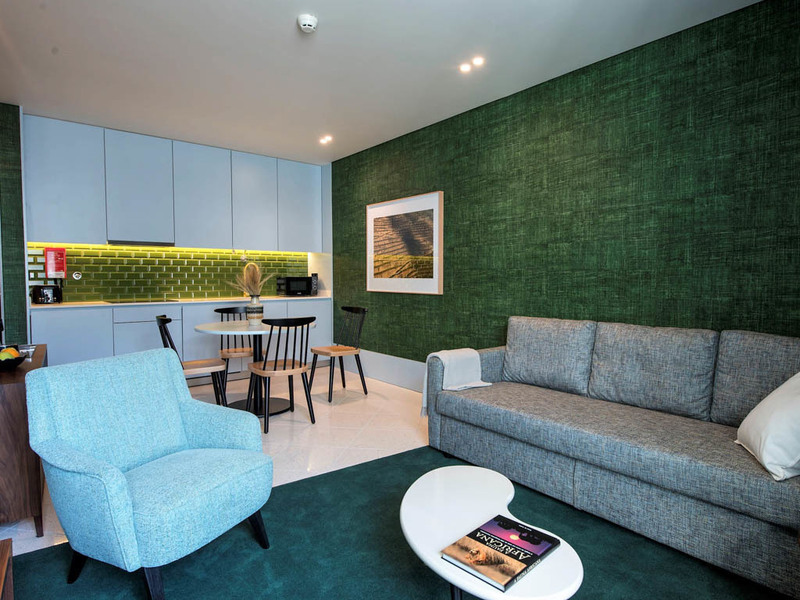 Perfect for a short stay, for either leisure or work, this modern and cosy apartment offers an open-concept layout distributed in three spaces. The apartment is equipped with a living room, double bed, bathroom with shower and kitchen including a ceramic hob, refrigerator with freezer, dishwasher, microwave toaster, blender, kettle and coffee maker. In addition, the apartment has a 32’’ TV, 24-hour telephone, Wi-Fi service, daily cleaning services and a 24-hour concierge desk. Perfect for shared stays of up to 4 people, in this apartment you will find the space you need only steps from the Douro. Apartment with separate room with double bed, bathroom with shower and kitchen open to the living room, which is equipped with a sofa bed, dining table and 32’’ TV. The kitchen has a ceramic hob, refrigerator with freezer, dishwasher, microwave toaster, blender, kettle and coffee maker. This apartment also offers a 24-hour telephone, Wi-Fi service, daily cleaning services and a 24-hour concierge desk. Two floors with an open-concept modern design. Spacious apartment to comfortably accommodate up to 4 people. On the main level the apartment has a kitchen that opens into the living room and a bathroom with shower. The top floor is an open concept bedroom. One of the apartments has a second bathroom on the top floor. The living room is equipped with dining table, sofa bed and 32’’ TV. The kitchen has a ceramic hob, refrigerator with freezer, dishwasher, microwave toaster, blender, kettle and coffee maker. 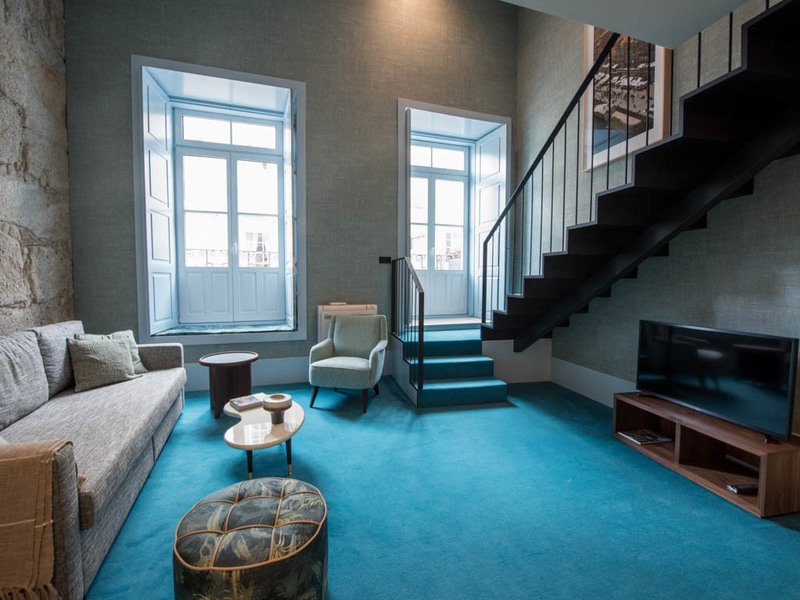 This apartment offers 24-hour telephone, Wi-Fi service, daily cleaning services and a 24-hour concierge desk. 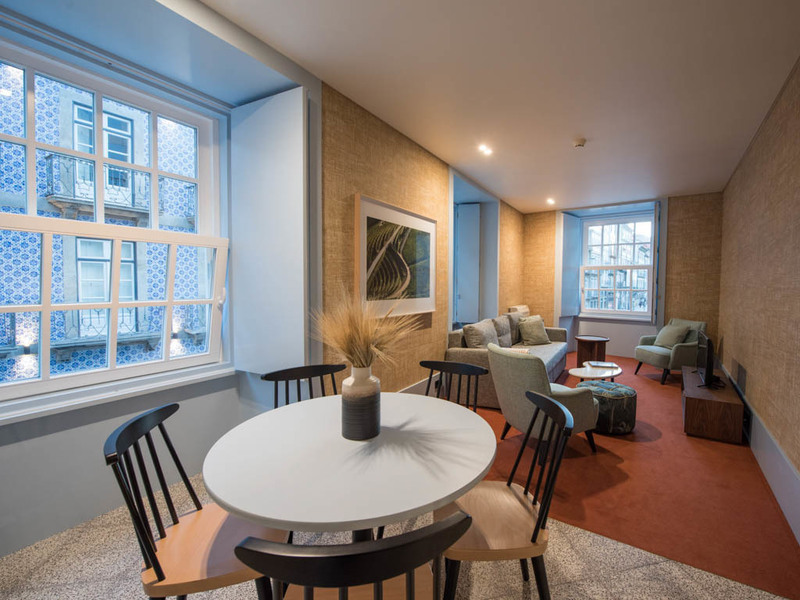 Designed to welcome up to 6 people, all of your family members or friends will find their preferred space in this bright apartment. Two-bedroom apartment with double bed, bathroom with shower and kitchen that opens into the living room. The living room has a dining table, sofa bed and 36’’ TV. The kitchen is equipped with a ceramic hob, refrigerator with freezer, dishwasher, microwave, toaster, blender, kettle and coffee machine. 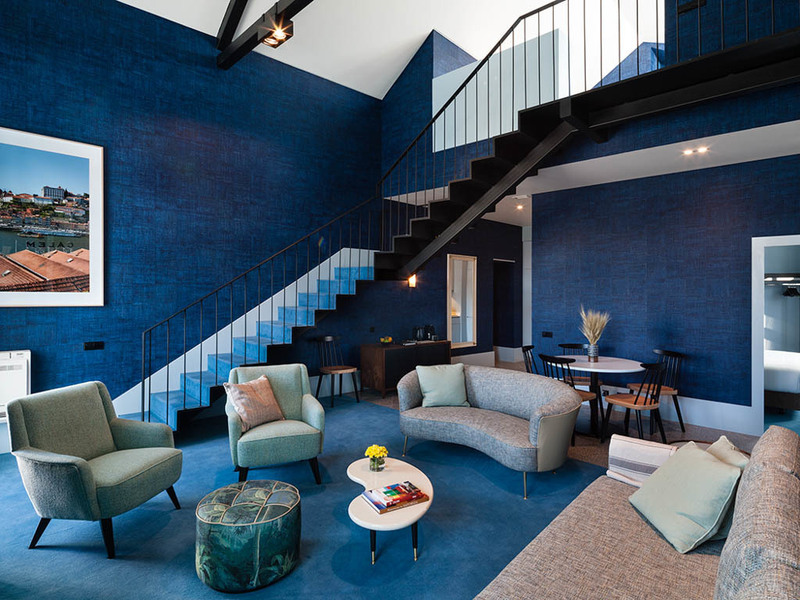 This apartment has a 24-hour telephone, Wi-Fi service, daily cleaning services and a 24-hour concierge desk. 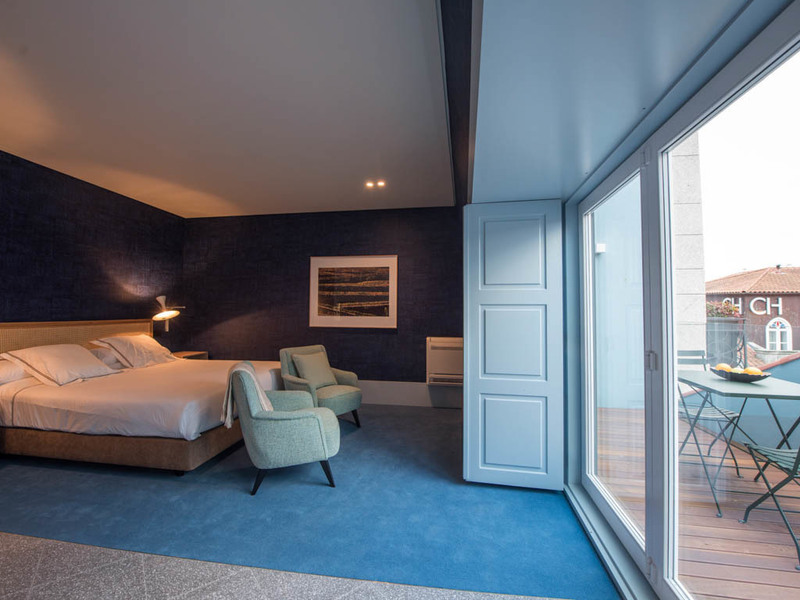 With a design and layout that will make you feel right at home, this apartment offers a pleasant stay in the heart of Porto’s Ribeira. Apartment with two bedrooms and two bathrooms. Main floor with kitchen that opens into the living room, bedroom and bathroom with shower. The upper floor, an open-concept design, offers a bedroom with private bathroom. The living room includes a dining table, sofa bed and 32’’ TV. The kitchen has a ceramic hob, refrigerator with freezer, dishwasher, microwave toaster, kettle and coffee machine. This apartment also offers 24-hour telephone, Wi-Fi service, daily cleaning services and a 24-hour concierge desk. 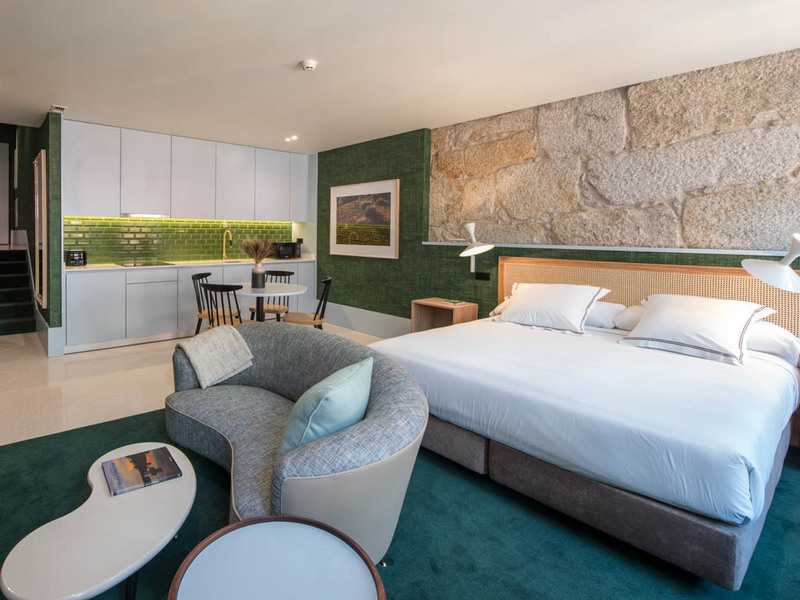 With extra space for even more comfort, the apartment has everything you need to turn your stay in Porto’s historic centre into a unique experience. Apartment with two bedrooms and two bathrooms with a capacity of up to 6 people. Ground floor with kitchen that opens into the living room, bedroom and bathroom with shower. The upper floor offers a bedroom and second bathroom with an open layout. The living room includes a dining table, sofa bed and 32’’ TV. The kitchen has a ceramic hob, refrigerator with freezer, dishwasher, microwave toaster, blender, kettle and coffee maker. In addition, this apartment offers 24-hour telephone, Wi-Fi service, daily cleaning services and a 24-hour concierge desk. With two terraces and even more space, this 130m2 apartment will allow you to immerse yourself in the lifestyle of Porto’s Ribeira while enjoying all the amenities. Apartment with two bedrooms for up to 6 people. The main floor includes a kitchen that opens into the living room, a balcony, a bedroom and bathroom with shower. The upper floor, an open-concept design, offers a bedroom and access to a large terrace. The living room includes a dining table, sofa bed and 32’’ TV. The kitchen has a ceramic hob, refrigerator with freezer, dishwasher, microwave toaster, blender, kettle and coffee maker. In addition, this apartment offers 24-hour telephone, Wi-Fi service, daily cleaning services and a 24-hour concierge desk. From 85€ per night - 16 rooms of 8 types. Perfect for a short stay, for either leisure or work, this modern and cosy apartment offers an open-concept layout distributed in three spaces. The apartment is equipped with a living room, double bed, bathroom with shower and kitchen including a ceramic hob, refrigerator with freezer, dishwasher, microwave toaster, blender, kettle and coffee maker. In addition, the apartment has a 32’’ TV, 24-hour telephone and Wi-Fi service. 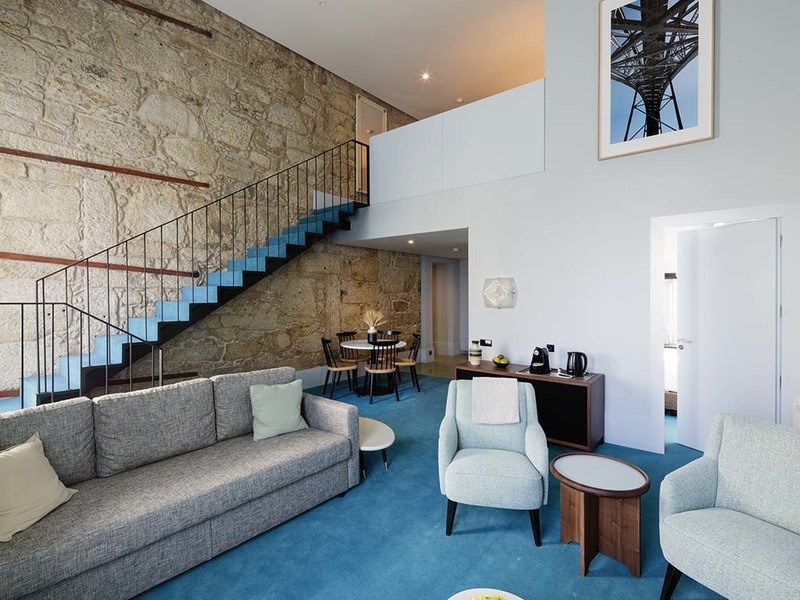 Modern and bright, this apartment will top off your stay in Porto thanks to its outdoor terrace. The apartment consists of three rooms: a living room, double bed and kitchen equipped with ceramic hob, refrigerator with freezer, dishwasher, microwave toaster, blender, kettle and coffee maker. It has a bathroom with shower, 32’’ TV, 24-hour telephone and Wi-Fi service. Designed to welcome up to 6 people, all of your family members or friends will find their preferred space in this bright apartment. Two-bedroom apartment with double bed, bathroom with shower and kitchen that opens into the living room. The living room has a dining table, sofa bed and 36’’ TV. The kitchen is equipped with a ceramic hob, refrigerator with freezer, dishwasher, microwave, toaster, blender, kettle and coffee machine. This apartment has a 24-hour telephone and Wi-Fi service. With two terraces and even more space, this 130m2 apartment will allow you to immerse yourself in the lifestyle of Porto’s Ribeira while enjoying all the amenities. Apartment with two bedrooms for up to 6 people. The main floor includes a kitchen that opens into the living room, a balcony, a bedroom and bathroom with shower. The upper floor, an open-concept design, offers a bedroom and access to a large terrace. The living room includes a dining table, sofa bed and 32’’ TV.